​​Real Estate Inspections and Due Diligence, ADA Accessibility Surveys, Commercial Property Condition Assessment, ASTM PCA Due Diligence, Limited Environmental Surveys, Energy Efficiency Surveys, Commercial Property Inspections, Commercial Building Inspections, Industrial, Retail, and Multi-Residential Real Estate Inspections. Serving a variety of clients including Owners, Investors, Property Managers, Lessees and CRE Real Estate Professionals. 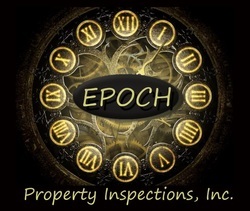 Copyright © 2018 Epoch Property Inspections Incorporated, All Rights Reserved.